Commissioner Gott noted that Commissioner Sheffler was absent from the meeting. Dan Reid and Robert Owsley with Marion Youth Baseball & Softball were in attendance for the meeting to discuss items regarding MYBSA and Travel Baseball / Softball practices and game schedules. Commissioner Gott asked if they would like to address the group. Dan stated that he would like to address the changes to the scheduling of practices and games on the Marion Youth Sports website. There has been text and email correspondence with Dan and Director Reed prior to the meeting. Director Reed updated the Commissioners regarding the text / emails about field opening dates. Dan sent an email to Administrative Assistant Kim asking that MYBSA have exclusive rights to booking fields on the upcoming season. Director Reed stated that over the weekend, Graham Young blocked off every Wednesday and Sunday for his 11U Wildcats team. Director Reed spoke with Graham regarding the situation and he has come up with a proposal to present to the Commissioners and MYBSA. Director Reed stated that Dan and Robert need to advise the Board and himself what they would like to see happening with the rentals, and then he can give the Board direction on where he would like to see the rentals going and would like to open the fields the 3rd week in March (March 23, 2019). Dan stated that in the past, Wildcat coaches have always had first choice at field rentals. Director Reed stated that the Marion Park District hadn’t previously developed the field rental income aspect and we do get a significant amount from the rentals to outside travel teams. There was continued conversation regarding the rental aspect. Director Reed proposed opening the rentals on February 6, 2019 and fields on March 22, 2019 with field times of 5:30 p.m. – 7:30 p.m. through the week, 8:00 a.m. – 6:00 p.m. on Saturdays and 1:00 p.m. – 6:00 p.m. on Sundays. All practices would be limited to a 2-hour time slot. Commissioner Gott proposed that the fields open on March 16, 2019 and allowing Wildcat coaches 1 week starting January 30, 2019 to schedule practices and games, limiting the teams to 4 hours per week. Outside travel teams can begin scheduling practices and games on February 6, 2019 allowing them 4 hours per week. He agreed on the times allotted for practices except for Sunday and proposed changing it to 1:00 p.m. – 7:00 p.m. to allow for the 2-hour time slots to be even. After all practices and games are scheduled, Wildcat teams and outside travel teams can pick up additional times. Dan Reid and Robert Owsley were fine with the rental decision and left the meeting. Commissioner McReynolds made a motion at 7:42 p.m.; seconded by Commissioner Gardiner to approve the January 15, 2019 agenda. Roll called. Motion carried with unanimous vote. Commissioner McReynolds made a motion at 7:43 p.m.; seconded by Commissioner Gardiner to approve the December 18, 2018 minutes. Roll called. Motion carried with unanimous vote. Commissioner Gott asked Director Reed if there was anything that needs to be brought to the Board’s attention. Director Reed advised that the Park District is still in good shape with their percentages on the incomes and expenses year to date. We are six months into the fiscal year, and he is already having conversations with Kim Meyer regarding the “cash on hand” over the mandatory 18% reserve and making a line item for that income. Commissioner Welch made a motion at 7:47 p.m.; seconded by Commissioner McReynolds to approve the December 2018 Financial Report. Roll called. Motion carried with unanimous vote. Director Reed hit the highlights of the Administration Report, showing pictures of the wreck that happened in front of the Boy Scout Cabin on Christmas day. Director Reed advised the Commissioners that there may be additional playing time in the spring at the Soccer Complex with them utilizing the fields for practices. There may be additional costs to MSI if there are practices added. Director Reed advised the Commissioners of the City of Marion building a sidewalk from Fair Street to State Street that will affect Ray Fosse Park. Director Reed advised the Commissioners of the new Ordinance 3484 regarding dirt grading and hauling passed by the City of Marion. Director Reed advised of the Commissioners regarding a real estate tax complaint from Marion Nursing and Rehab and his findings and correspondence with Jeff Robinson. Commissioner Gott asked the other Commissioners if they had anything to report. Commissioner Gardiner, McReynolds and Welch had nothing to add for the reports. Commissioner Gott read the other Commissioners a “Thank you” card form Ms. Hopkins regarding the renaming of Field # 2 in her husband, Bill Hopkins, name. a. Executive / Closed Minutes – Discussion of minutes of meeting lawfully closed under Illinois Open Meetings Act, whether for purposes of approval by the body of the minutes or semi-annual review of the minutes. Commissioner McReynolds made a motion at 8:37 p.m.; seconded by Commissioner Gardiner to approve going into Executive Session. Roll called. Motion carried with unanimous vote. Commissioner Gardiner made a motion at 8:46 p.m.; seconded by Commissioner McReynolds to approve reconvening into Open Session. Roll called. Motion carried with unanimous vote. a. Discuss / Approve advertising for sealed bids for the purchase of a 2018 / 2019 Pick-up (1/2 T, 4×4) with Trade – In. Director Reed read the bid specifications that he has written to the Commissioners. Commissioner Welch made a motion at 8:52 p.m.; seconded by Commissioner McReynolds to approve dedicating advertising for sealed bids for the purchase of a 2018 / 2019 Pick-up (1/2 T, 4×4) with Trade – In. Roll called. Motion carried with unanimous vote. b. Discuss / Approve Resolution 19-01, designation of OMA officers. Commissioner Gardiner made a motion at 8:53 p.m.; seconded by Commissioner Welch to approve Resolution 19-01, designation of OMA officers. Roll called. Motion carried with unanimous vote. c. Discuss / Approve Resolution 19-02, designation of FOIA officers. Commissioner Welch made a motion at 8:54 p.m.; seconded by Commissioner McReynolds to approve Resolution 19-02, designation of FOIA officers. Roll called. Motion carried with unanimous vote. d. Discuss / Approve advertising for sealed bids to secure an Accounting firm for Auditing purposes. Commissioner Gardiner made a motion at 8:55 p.m.; seconded by Commissioner McReynolds to approve advertising for sealed bids to secure an Accounting firm for Auditing purposes. Roll called. Motion carried with unanimous vote. e. Discuss / Approve Batting Cage and Goofy Golf lease for 2019. Commissioner Gardiner made a motion at 8:56 p.m.; seconded by Commissioner Welch to approve Batting Cage and Goofy Golf lease for 2019. Roll Called. Commissioner Gardiner – yay, Commissioner McReynolds – yay, Commissioner Welch – yay, Commissioner Gott – silent. Motion carried with 3-0 vote. f. Approval of Executive Session minutes from June 21, 2018, July 24, 2018, August 28, 2018, September 25, 2018, November 27, 2018 and December 18, 2018 to remain closed with or without exception. Commissioner McReynolds made a motion at 8:57 p.m.; seconded by Commissioner Welch to approve the Executive Session minutes from June 21, 2018, July 24, 2018, August 28, 2018, September 25, 2018, November 27, 2018 and December 18, 2018 and to remain closed without exception. Roll Called. Motion carried with unanimous vote. 12. Next Meeting Date: February 26, 2019.  Commissioner Gardiner made a motion at 9:02 p.m.; seconded by Commissioner McReynolds to adjourn the Regular Meeting of the Marion Park District Board of Commissioners. Roll called. Motion carried with unanimous vote.